Many say the Western is dead, but I beg to differ. Of course, my kind of Western includes alternate histories, zombies, magic and airships, but it still has strong men and women forging lives for themselves far from the urban strongholds in the Eastern states. They face dangers with only their wits, guns and gadgets to help them. Colorful characters, dangerous villains, the wheels of progress both a boon and a potential threat, there are plenty of stories to be told. True, there are few white hat wearing singing cowboys, the heroes inhabit more of a grey area, and native cultures are more mysterious than vilified, but those are all pluses in my opinion. Devon Monk's Tin Swift, book 2 in her Age of Steam series, released this week and I can't wait to read it. The series is a mash-up with steampunk, magic, curses, and Strange beings who threaten humanity set against a late 1800s American West backdrop. Dead Iron, book 1, focused on Strange happenings in a western mining town. This time, Cedar Hunt and his companions are journeying East, but you know it will not be an easy trip. At least I hope it won't be. Read on after the jump for 2 more authors keeping the Western alive. Another excellent series is Cherie Priest's Clockwork Century (Stellar Four has showcased Priest before, here's an interview Sara did last year). Fast-paced with plenty of moxie, gadgets and more than an occasional zombie, the series crisscrosses an alternate US where the Civil War is still going strong after 20 years, Seattle has fallen to a zombie horde, and a drug made from a noxious gas is threatening to spread the undead epidemic nationwide. I also love that the majority of the lead characters in this series are well into their 30s or older. They bring maturity and a different perspective to a genre that many times is populated with younger protagonists. 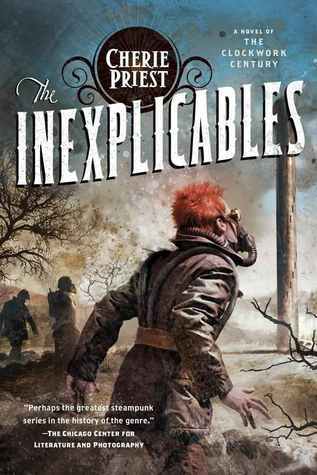 A modern dime novel, I can't wait to read more from Priest. Book 5, The Inexplicables, will be out this November. It brings the action back to Seattle, the home of Boneshaker, the first book in the series. 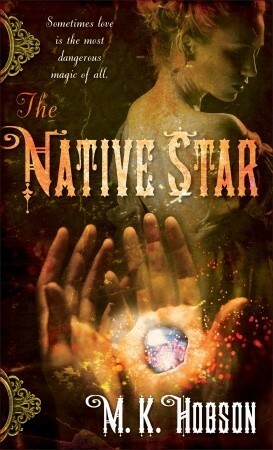 The Native Star by M.K. Hobson is another set in an alternate US where sorcery turned the tide in the Civil War, the hunt is on for an ancient stone of power, and a witch from a logging town in the Sierras must team up with a warlock from New York on a cross country adventure. There aren't a lot of gadgets, but experiencing the clash between the stiff etiquette of the urban elite and the free-spirited gumption of the western frontier mixed together with a heaping dose of magic was a treat. I have book 2, The Hidden Goddess, waiting for me on my Kindle, and book 3, The Warlock's Curse is out in October. Do you have any favorites I should add to the list? Oooh, more books for my reading list. I had no idea that all it took for me to love westerns were steampunk zombies. You hit the nail on the head. 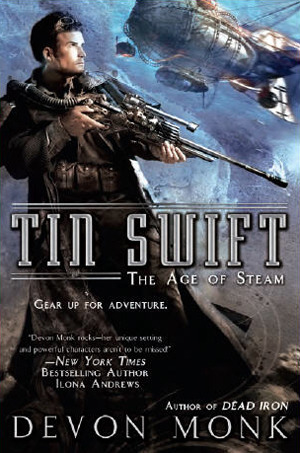 All excellent series, and I didn't realize Tin Swift was out already!